We’re not making this list to endorse a particular brand of basketball shoes. But since Nike is one of the biggest names in sports shoes and apparel, and some of the most awesome top 10 basketball players of all time wore Nikes to every game even when they were not being paid to endorse it, we’ve decided to make this list anyway without needing a concrete reason. 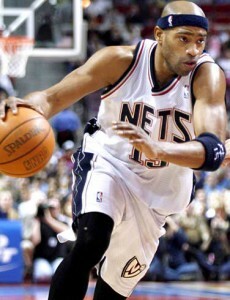 Vincent Lamar “Vince” Carter is a shooting guard and sometimes small forward for the Dallas Mavericks. Carter was NBA Rookie of the Year in 1999 just one year after he was drafted. He has an Olympics gold medal as part of Team USA for the 2000 Summer Olympic Games in Sydney, Australia. He played for a number of basketball teams in the league including the Toronto Raptors, the New Jersey Nets, the Orlando Magic, and the Phoenix Suns. He is one of only three NBA All-Star Game fan voting winners, forming an elite triumvirate with Michael Jordan and Julius Erving. Fans call him “Vinsanity,” and he holds the record as the 37th player in NBA history to reach a career score of 20,000 points (2011). Larry Demetric Johnson played a power forward for the New York Knicks, Miami Heat, and the Charlotte Hornets. He was The 1991 NBA Rookie of the Year Awardee, and that was his first season of play. 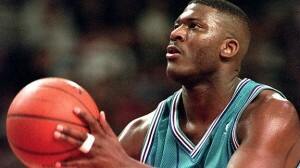 He was the first member of the Charlotte Hornets to play in the All-Star Game (1993). 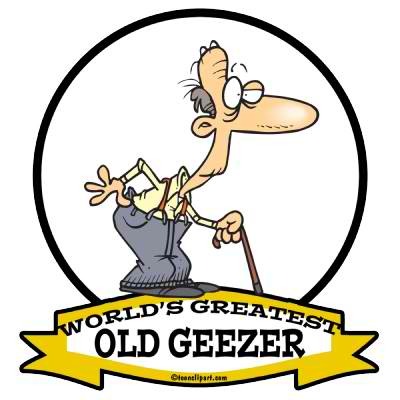 It may be necessary to make a note that Johnson endorsed Converse and was even given a name (Grandmama) based on a commercial that he did with the brand. LJ retired in 2001mainly due to back problems which caused him to skip a few games even in his heyday. Anfernee “Penny” Hardaway was a point guard who played for the Orlando Magic, the Phoenix Suns, the New York Knicks and the Miami Heat. He was drafted to the NBA in 1993 and was 3rd overall pick. 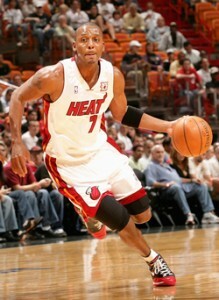 He exited the NBA in 2006 due to many injuries to his knee. When he was active, Penny Hardaway was often compared to Magic Johnson. He was a member of the 1996 Dream Team and helped win the Olympic gold for Team USA. 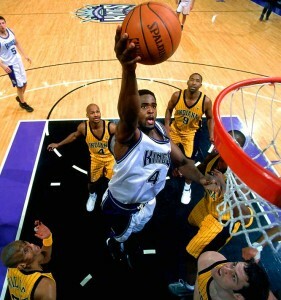 Edward Christopher “Chris” Webber III entered the NBA as a Number One Draftee. He was also an NBA Rookie of the Year Awardee (1994) and NBA All-Star (five times). C-Webb, as he was known to fans, played was a power forward for the Golden State Warriors, the Philadelphia 76ers, the Washington Bullets/Wizards, the Detroit Pistons, and the Sacramento Kings. He retired from the game in 2008. Dennis Keith Rodman may be remembered by the general public for his outlandish hair color, piercings, bad boy antics, tattoos, the wedding dress, and his movie appearances. But he was also considered by some to be the best rebounding forward in the NBA. 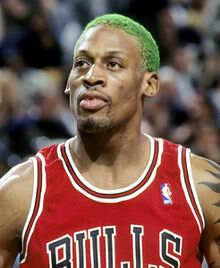 Rodman was known for his defensive game as small forward and later as power forward and won five NBA titles in his active years. He played for the Chicago Bulls, the Dallas Mavericks, the Detroit Pistons, the San Antonio Spurs, and the LA Lakers. Rodman’s jersey was retired in a solemn ceremony in Detroit in 2011. Kevin Maurice Garnett (KG) is both center and power forward for the Boston Celtics and helped the team win the NBA championship in 2007, its first after 20 years. When he was drafted to the NBA in 1995, he held the distinction of being the first basketball player drafted directly from high school in two decades. 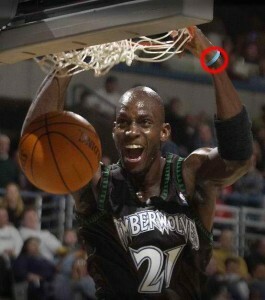 He played for the Minnesota Timberwolves and won the MVP Award in 2004. The year before, he was awarded the All-Star Most Valuable Player Award. He has received many other award (too many to mention here) as well as franchise records. 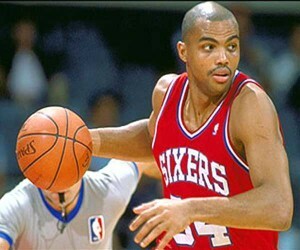 Charles Wade Barkley was a singular player during his heyday. He was a power forward and considered undersized but he proved them all wrong with his amazing rebounds and many other skills from wherever he was on the court. He was drafted to the NBA by the Philadelphia 76ers in 1984. Sir Charles also played for the Auburn Tigers, the Phoenix Suns and was in both the 1992 and 1996 Dream Team that dominated two consecutive Summer Olympic Games not just with the best basketball players of the time but with star power as well. Scottie Pippen who played forward for 17 years and would always be remembered for being one of the key players for the Chicago Bulls when the team won 6 NBA titles in the 1990s. 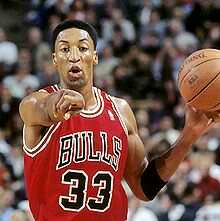 Pippen was the NBA All-Star Game Most Valuable Player in 1994. Pippen also played short stints with the Houston Rockets and the Portland Trail Blazers. He received other notable awards in his time, but it is worth stressing here that he was instrumental on the mythical achievements of the Chicago Bulls in the 1995-1996 and 1996-1997 seasons. He holds the record for being the only basketball player to with the NBA Championship and the Olympic gold in the same year and twice in his lifetime in 1992 and 1996. And His jersey was retired by the Bulls, along with the jerseys of Michael Jordan, Bob Love, and Jerry Sloan. In 2010, Scottie Pippen was inducted into the Basketball Hall of Fame. 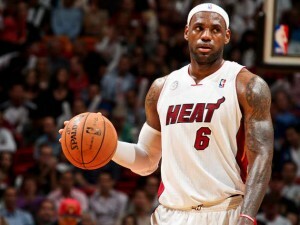 LeBron James, aka King James earned NBA honors to equal and even surpass his betters. He was the NBA Rookie of the Year in 2004 and won the MVP Award thrice (2009, 2010, and 2012). James was drafted to the NBI in 2003 and for many basketball experts he is currently the best player in the NBA. He plays small forward for the Miami Heat and before that the Cleveland Cavaliers with which he holds the record as “all-time leading scorer. Michael Jeffrey Jordan was NBA Rookie of the Year Awardee (1985), three-time NBA All-Star Game MVP, five-time NBA MVP, six-time NBA Finals MVP and led the Chicago Bulls to six NBA titles. He was the best shooting guard of his generation and to date is still the most awarded player in NBA history. 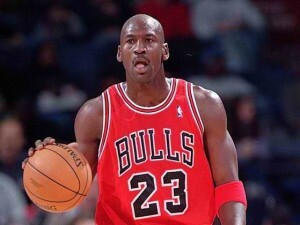 He was drafted by the Chicago bulls in 1984 and led the team to greatness for most of his career. Since Nike’s release of its first basketball shoes in 1972, the company has been offering the most revolutionary line of footwear for the sport with Nike Basketball and eventually, Air Jordan. Who needs a reason to celebrate top 10 basketball players of the National Basketball Association (NBA) who wore and wear high performance shoes?